Perfect Imaging is a medical imaging technology vendor and subspecialty teleradiology service provider. We sell, integrate, install, service and support PACS software, RIS software, and DICOM software products, radiology equipment, teleradiology computer hardware and healthcare and hospital information systems. Perfect Imaging is a radiology and teleradiology PACS workflow solution software provider based in Beachwood, Ohio. Our firm helps teleradiology practices simplify and speed their workflow, routing, reporting and billing processes. Our company licenses PACSstar™ to radiologists and teleradiology services. Contact our firm if you need information about implementing your first PACS system, teleradiology software and PACS system integration, upgrading your PACS system or replacing your PACS system. Call Perfect Imaging at 866-228-8778 or click here to discuss teleradiology jobs, a teleradiology employment opportunity, a teleradiologist position or a career as a reading radiologist. For more information about our company, PACSstar, a free software trial, PACS software prices, teleradiology software system rates, purchasing PACS software, buying teleradiology software or to request a quote to buy a PACSstar PACS software license, please complete the form below or call 216-514-9904. 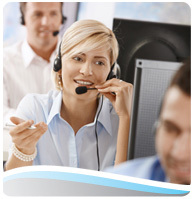 Click here for teleradiology software customer support. Copyright © perfect Imaging, LLC. 2019, all rights reserved.